A player spectator is a free flying camera without a physical body, which is approximated with a sphere and therefore can collide with objects (however, it cannot, for example, push or interact with them). 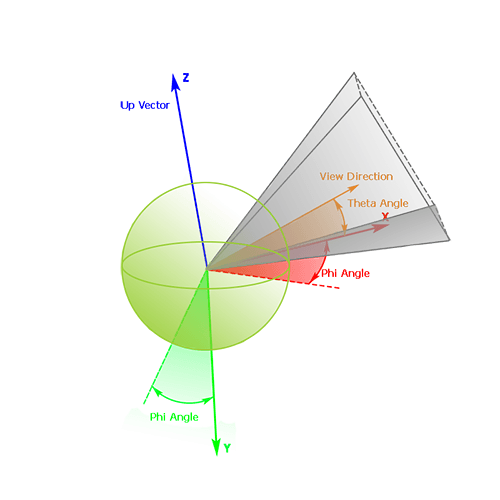 When changing the theta angle, the vertical view direction of the player actor changes. When changing the phi angle, the horizontal view direction and the basis of the player actor change. 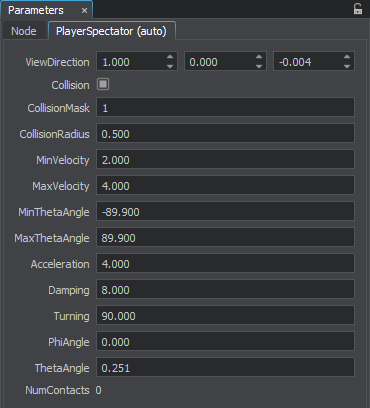 A player spectator can be used to create a spectator mode that allows for observing the world. Due to collisions, movement of the camera can be limited. As any transformation of a player forces it to recalculate its inner state (position, direction, angles and so on), the up direction of the player's viewport may become "negative forward". And then transformation will be recalculated by using this direction, causing flip of the player's basis. To avoid such flipping, the theta and phi angles should be recalculated by using the current viewing orientation of the player. On the Menu bar, choose Create -> Camera -> Spectator. 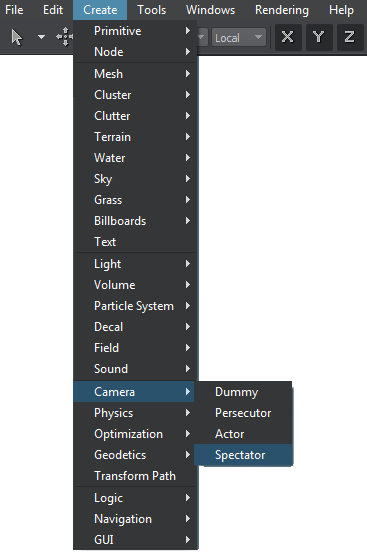 Place the camera somewhere in the world and specify the required parameters via the Parameters window.